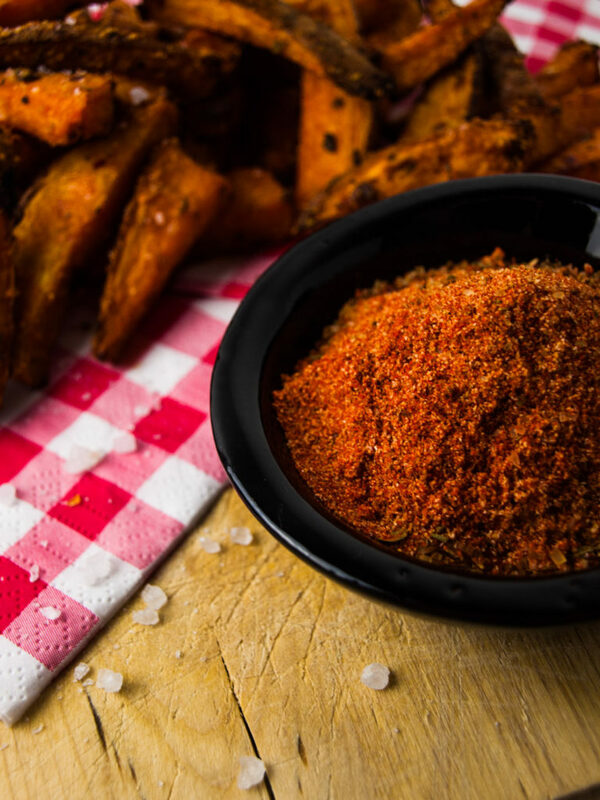 Say hello to the spice mix that will never fail you! This spice blend is so well balanced that it will make everything tastier! Wanna make chicken better? Use this! Wanna make spareribs great? Use this!! Onion, garlic, chili, cumin, paprika, oregano, brown sugar! Come on, you know this sounds good! Add red chili flakes for some extra spice! It’s not Asian, it’s not really Cajun, it’s surely not Italian… We don’t play by these rules anymore… This is an interracial fusion food baby that will make everyone happy! I originally thought about selling this spice mix in glasses but that just seems mean… After all, it’s just a spice blend that you can easily make at home! (hint: It does make a nice gift though). Still, no secrets here! Share it with everyone you like! Enjoy! Yes, this can be used on everything! Especially on meats and fries! Mix all ingredients well and use immediately. Or store this in a glass jar with a tightly closing lid. Now spice up everything you already liked in the first place and make it even better! Pre-heat an oven to 220°c. Mix 3 tablespoons of the spice blend above with 2 tablespoons of grated Parmesan cheese. Slice up sweet potato into long fries. Throw into a mixing bowl with 2 tablespoons of olive oil. Add the spice mix with the cheese and mix well until evenly coated. Spread evenly onto a lined baking tray in a single layer. Bake in the pre-heated oven for 15-20 minutes until well browned. Enjoy! Let me know in the comments what you think of this blend! What would you use it on? Don’t like the balance? Think one element is overpowering the rest? I want to know it all! Together we can make this even better!